Jarlsberg® Cheese is celebrating their 60th anniversary and their fans – the perfect pair for 60 years! Jarlsberg® Cheese fans can enter the Jarlsberg® Cheese Weekly Perfect Pairing Giveaway for a chance to win a trip to Norway from August 1 – Sept. 12, 2016. Enter daily at http://www.jarlsbergusa.com where Jarlsberg® Cheese is giving away 6 trips to Norway to 6 pairs of Jarlsberg® cheese fans to celebrate six amazing decades. 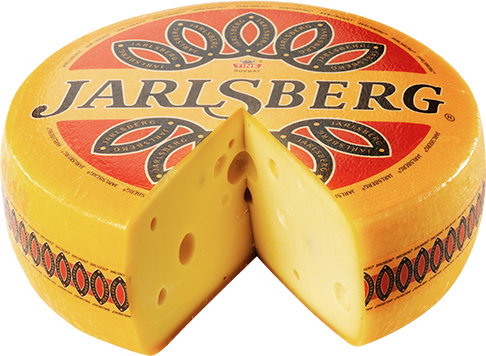 Jarlsberg® Cheese was founded in 1956, and still remains the go-to cheese in the U.S. and abroad. With its mild, mellow and nutty flavor, Jarlsberg® Cheese is a staple in kitchens from coast to coast, and is used as an on-the-go snack; melted in recipes or on BBQ favorites, and on sandwiches. Naturally gluten and lactose free, Jarlsberg® Cheese is also available in many varieties, including Jarlsberg® Lite and Smoked Jarlsberg®. The weekly grand prize is a Perfect Pair of tickets to Norway, including airfare for two people and hotel accommodations for 4 nights. The weekly 1st prize includes the Perfect Pair Jarlsberg Cheese Kit: $50 OmahaSteaks.com gift card and a $50 visa gift card to purchase the perfect pairing wine of choice.
. Be sure to check out the 60 Days of Summer recipes posted on Facebook!